Living in NJ for a half a century, I just had to fulfill my life long dream of living like EVE in tropical home with fruit trees and flowers year round. I had a 2-year escape plan. Meanwhile I sold my house, my car, most of my possessions, searched properties on line and in the field. I had a list of “must haves” while looking and was annoyingly obstinate about adhering to them. 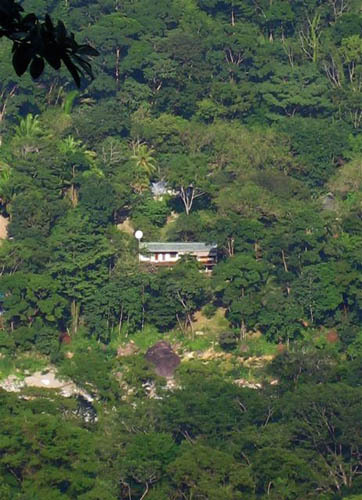 Finally…about a year and a half into my search, I found my new home in Honduras, on a raging white water river; adjacent to a magnificent 500-mile rain forested national park with peaks up to 7000, all with a 200 ft waterfall view from my deck! This amazing 2 acre~ 3 house property is only 15 miles from an international airport. Incredible! SCORE! I lived in Guatemala for 2 years, back in the 70’s. I was a young woman fulfilling a wonderlust and enjoyed my interactions with the indigenous culture. I can not recall anyone giving me expat advice…in fact all my friends and family thought I was crazy. I spend quite a bit of time of Face Book. It keeps me connected to my friends and family back in the states and helps me market my retreat center. My vision is to become completely off-grid and sustainable with food production. We already have dozens of producing fruit trees and have planted veggie gardens. Hopefully solar will be installed in 2010! I live in eden.Fruit dangles from the trees, toucans caw and gardenias the size of my hand bloom in abundance. 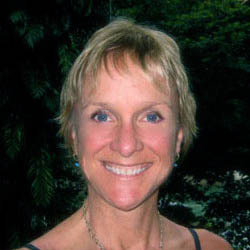 I offer yoga/cleansing diet/jungle retreats in paradise. Many of my guests come from large cities in the US, who are looking for a place to relax, reboot, redirect and revive. Guests return to their homes brighter, lighter, leaner, clearer, cleaner and generally more enthused about life! This make me feel great! 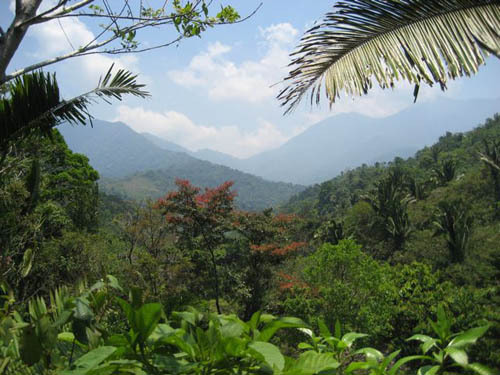 If you are interested in the GREAT outdoors and adventurous living, then this area of Honduras is the perfect place for you. We enjoy clean air, pure water, dark skies at night and peace and serenity. 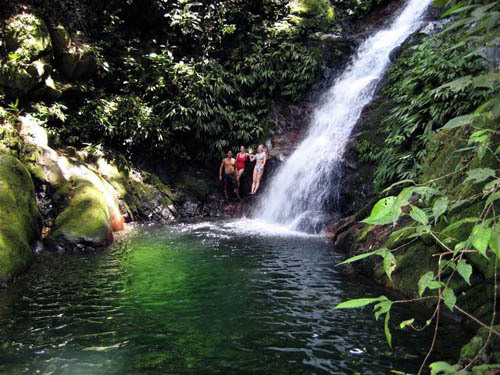 We are only 5 miles from the Carribean ocean and an “all amenities” town…but still enjoy a rather remote and pristine environment here in the mountains. It is perhaps the most beautiful area I have ever been too. The expat community is broad in it’s range. We have German, Canadian, English and American folks of different ages and intent. A common thread is a love of nature and wildness. My life is a lot simpler here than in the states, less rush and stress, and i like it. I have learned the zen art of patience and acceptance since living in a third world country requires both. Here, you can not have it “now” and it will not be “perfect”. Moving here has been one of the best life decisions I have made so far. Thank you, Wendy for participating in our Expat Spotlight! We wish you success and happiness in your current location, and wherever your dreams and business endeavors take you. 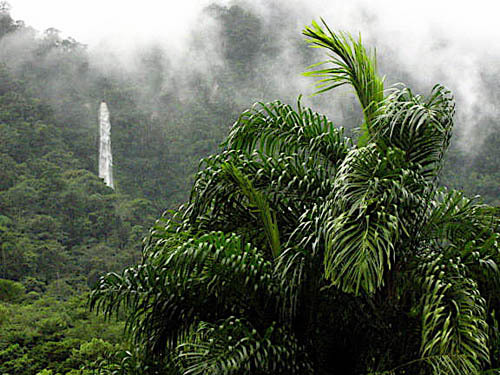 Your little slice of Eden is truly marvelous and I saw it years ago! Since your cultivation skills and land and living spaces have been impressively increased and beautified, I am certain it is even more gorgeous and plentiful than ever. What a spirit! Many great souls your way soon I am sure after seeing your paradise and it’s reasonable costs considering today’s world. Love life Wendy! Terrific.